Do You Quickly Run Out of Energy? Here Are 9 Super Foods That Will Charge You Up! The instant energy booster, banana is the best food you can gulp if you run short of energy. The good thing about bananas is that it has an amazing taste and it is available anywhere in the market. So the next time you need instant energy, you should get some bananas and ingest them. We all long for a sip of coffee when we are drained out of energy. Coffee has a copious amount of epinephrine that activates the body and triggers the brain. Whenever the energy levels drop off, you need to brew a coffee and get yourself rejuvenated in a matter of minutes. 3. Sweet Potatoes Sweet Potatoes have plenty of carbohydrates that keep you in high spirits throughout the day. In addition, it has beta-carotene and Vitamin C that help you weed out the stress and boost your energy levels. The best thing about that food is that you don’t have to cook it up and you can eat them raw. Eggs are rich in protein that fills you with instant energy and fuels up your entire body. Besides, it has a nutrient called “leucine” which makes you feel charged in no time. And the egg is one food that can be added to practically any food and do we need to say that it tastes great? There can’t be a better food than honey and there are plenty of reasons to believe that. Firstly, it is a sweet food, so you will have some good amount of sugar. Secondly, it has plenty of nutrients to cure ailments. But since we are talking about the super foods then honey serves as a muscle fuel to help you recuperate after a robust workout. Apple is eaten more in the world than any other fruit. But that is just one aspect of this popular. Apple has a blend of sugar, carbohydrates, and fiber and they all are fantastic energy-boosting foods. The thing that makes this fruit a powerhouse of energy is the presence of antioxidant that inhibits the consumption of energy from the body and you are able to stay energized for a longer time. You can benefit from the energy-boosting attribute of apple by having an apple juice or eating it raw. In both ways, you will be able to contain enough energy that will last for the entire day. The energy-boosting attribute of spinach has been portrayed in popular culture, remember “Popeye, The Sailor”. But the energizing power of this super food is not a fictitious thing and it is an energy booster in real life as well. Spinach is a chief source of iron which is known to give a boost to your energy levels. So make a habit of eating spinach every day to increase your time of hard labor. 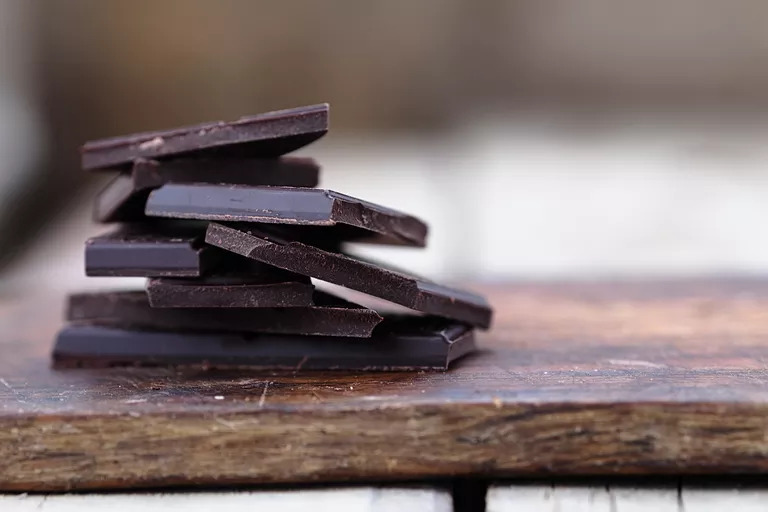 Dark chocolate has more energy-boosting content than any other food. It is rich in cocoa that contains antioxidant in abundance which can improve your blood circulation and triggers the supply of oxygen to the brain which reduces fatigue and stress and gives a boost to your mood. 9. Yogurt No fruit can charge you up so instantly than yogurt and the secret ingredient is galactose and lactose which are absorbed by the body which in turn converts them into packets of energy that trigger your body. Yogurt also has a sufficient amount of vitamins and proteins that again increase the power of your body.